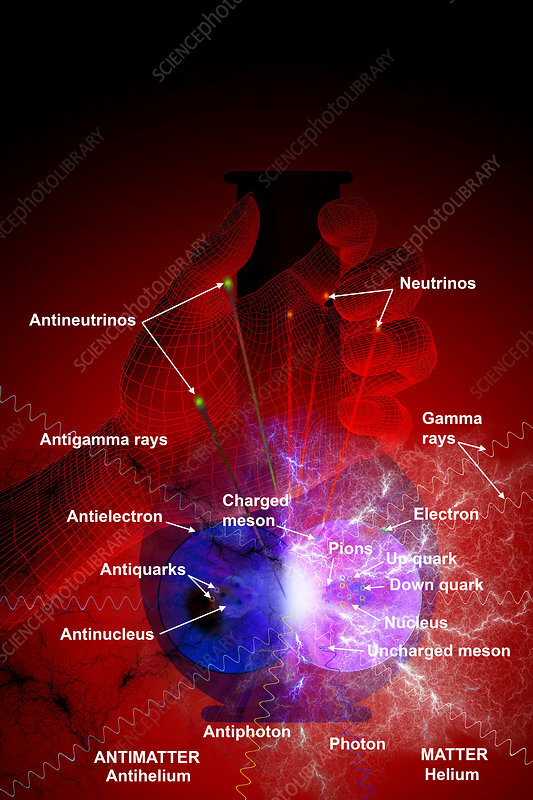 Matter, antimatter collision. Artist's interpretation of a helium atom and an antihelium atom colliding and the byproducts of that collision. Labelled.